The LISA Pathfinder, formerly called Small Missions for Advanced Research in Technology 2 (SMART-2), is a European Space Agency mission setting out to demonstrate critical systems for the Evolved Laser Interferometer Space Antenna (eLISA) – one of the most ambitious science missions ever undertaken in the field of astrophysics. 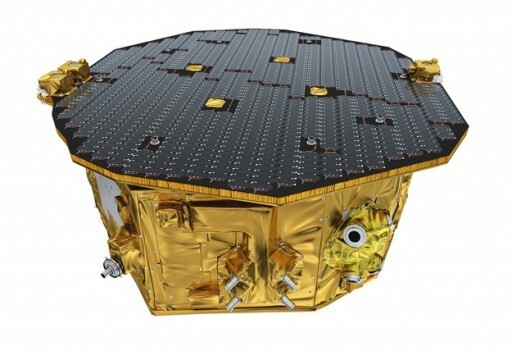 eLISA is currently looking at a launch date of 2034 and will be the first mission to detect and measure gravitational waves, ripples in the curvature of space-time caused by astronomical sources with great mass. eLISA will use a constellation of three spacecraft flying in an orbit around the sun in a triangular formation with a distance of one million Kilometers between the craft. Laser interferometry will be used to precisely measure the distance between the spacecraft to detect passing gravitational waves which travel at the speed of light. 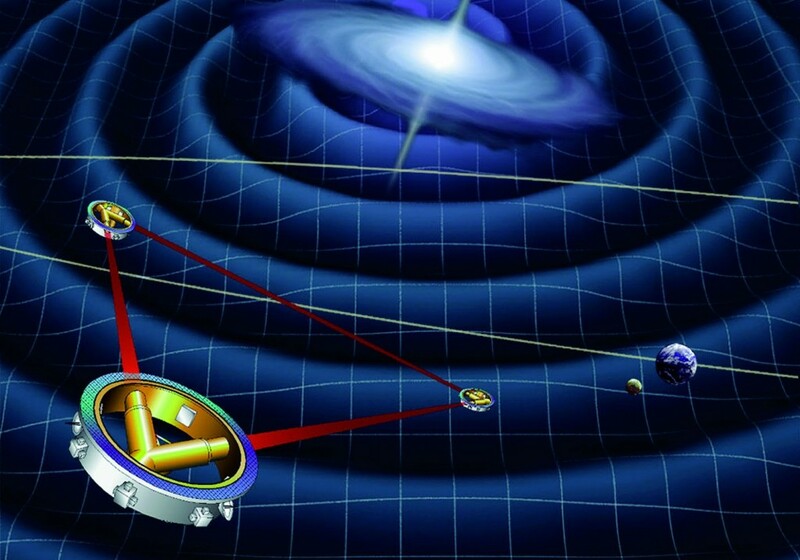 The detection of gravitational waves would open an entirely new window to the universe to scientists as more aspects of Einstein’s Theory of General Relativity are quantified in the real world – providing more insights into the fundamental processes ongoing in the universe. To make its highly precise distance measurement, eLISA will use proof masses, two of which are to be installed on each spacecraft. Changes in distance between the proof masses as a result of gravitational waves are measured interferometrically to within 10 picometers. It has to be ensured that the proof masses follow a purely gravitational orbit, requiring a drag-free system and shielding to counteract the disturbance forces of the orbiting spacecraft. 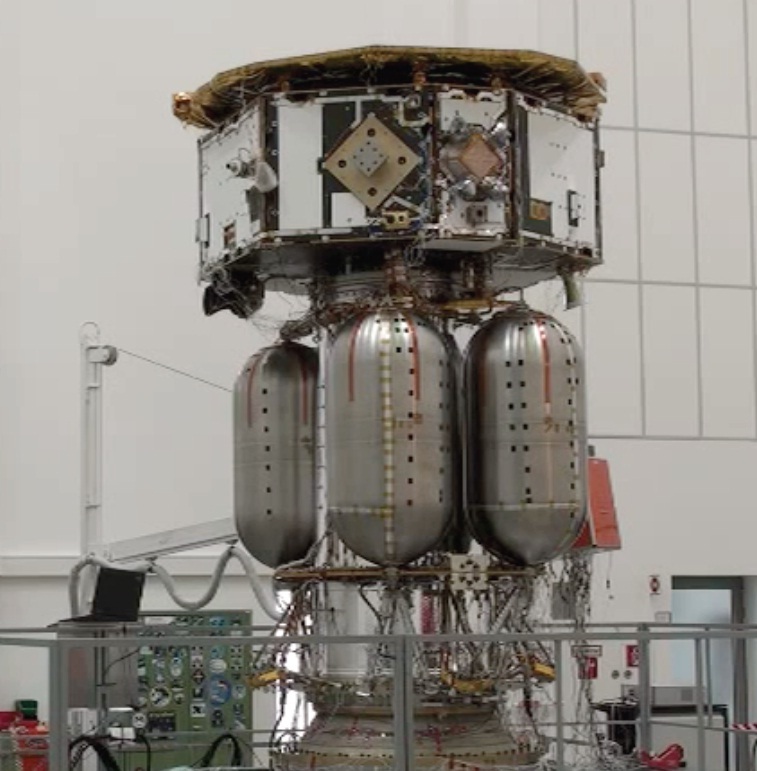 This brings along a number of technical challenges with respect to magnetic cleanliness, thermal stabilization, electrical charge management and gravitational balancing within the spacecraft. The LISA Pathfinder essentially shortens the length of one of the million-Kilometer arms of eLISA to 38 centimeters to fit into a single low-cost spacecraft. 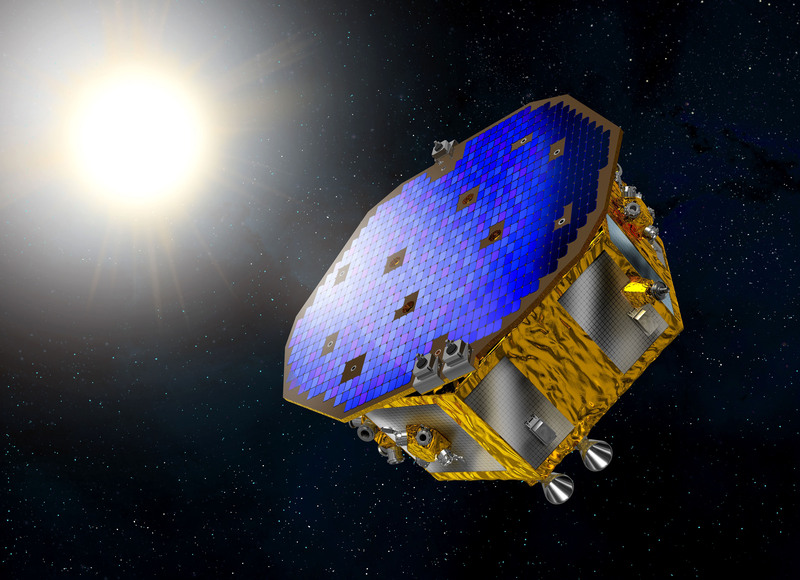 Launching in 2015, the LISA Pathfinder is expected to operate for at least half a year. The spacecraft has been designed to permit technology to be directly transferred to eLISA with little or no modification. As a technical demonstration mission, the LISA Pathfinder is not held to the high performance requirements of a high-level science mission in areas such as relative acceleration of the proof masses. The goal of the LISA Pathfinder mission is to demonstrate the gravitational wave detection concept using a single spacecraft through the use of state-of-the-art technology including a highly precise inertial sensing system, a laser metrology (distance measurement) system, drag-free control, and ultra-precise micro-propulsion to provide a pristine gravitational free fall environment to the proof masses. 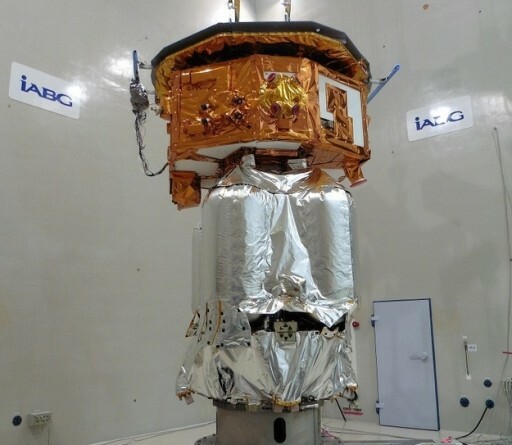 The LISA Pathfinder spacecraft was built by EADS Astrium (now Airbus Defence and Space) and consists of the science craft and a separable propulsion module for the transition to L1. The science craft includes the three main instruments, the LISA Technology Package (LTP), Drag-Free Attitude Control and the Disturbance Reduction System (DRS). The Science Craft is 2.31 meters in diameter and has a cylinder height of 0.96 meters with a mass of 480 Kilograms when arriving in its operational orbit. The propulsion module has a launch mass of 1,420 Kilograms. When joined, the Science Craft and the Propulsion Module stand 2.9 meters tall. The entire structural subsystem of the spacecraft consists of a light-weight structure made of Carbon Fiber Reinforced Plastic that makes up a central tube, internal panels that fan out and hold eight external side panels in place. The panels consist of sandwich structure and shells. The mating ring that joins the Science Craft with the Propulsion Module is machined from aluminum alloy. The overall design driver of the structure was to provide a stable mounting platform for the various payload systems in a low-vibration environment and is highly stable with temperature. The main payload of the mission, the LISA Test Package, is facilitated in the central tube of the spacecraft. All other platform and payload systems are mounted as far from the LTP as possible on the shear walls connecting the cylinder and the external walls. The zenith panel of the LISA Pathfinder spacecraft is covered by a sunshield supporting the spacecraft’s single solar array hosting triple-junction Gallium-Arsenide Solar Cells covering an area of 2.8 square meters to deliver an end-of-life power around 650 Watts. Installed on the array are 39 strings of solar cells, each with 24 cells connected in series. The Electrical Power System employs Maximum Power Point Tracking to ensure an optimized power generation at all operational temperatures. 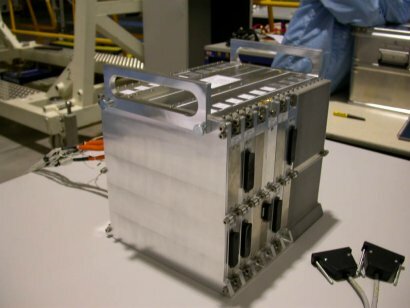 The heart of the Electrical Power System is a 26 by 20 by 2.5-centimeter Power Conditioning and Distribution Unit that controls all power flow to the users onboard the spacecraft. It is based on an unregulated bus architecture where the bus voltage is dependent on the battery voltage, varying with the sate of charge of the spacecraft battery. The Power Control part of the PCDU controls the power flow to the different users and performs communications with the onboard computer to deliver status information and receive power on/off commands. The Power Distribution part of the system includes the protective equipment such as Latching Current Limiters, heater control switches and deployment activation outputs. 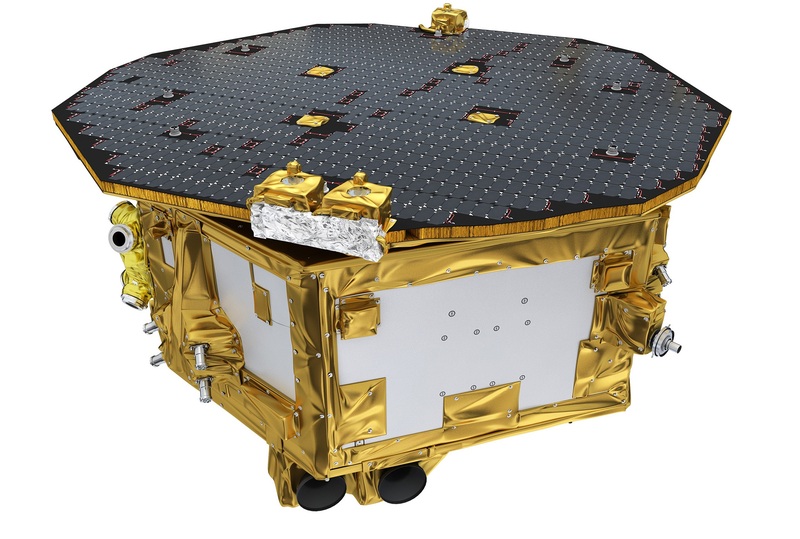 LISA Pathfinder uses a Li-Ion battery with a capacity of 33 Amp-hours and Latch Current Limiters and Flood-Back Current Limiters ensure the proper protections against failures from the loads side. 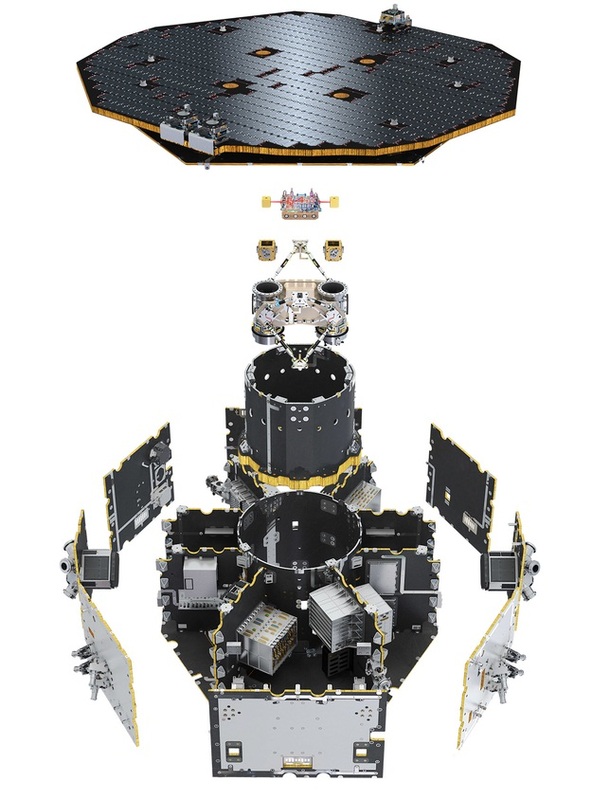 The design of the LISA Pathfinder mission allows a simple battery design to be implemented since the spacecraft will only rely on battery power during launch and ascent, eclipse phases when in its transfer orbit phase and during engine firings. When reaching L1, the spacecraft will be in sunlight at all times and the battery will only be used in the event of a loss of attitude. Aside from the Drag Free Attitude Control System that is part of the science payload, LISA Pathfinder also hosts a conventional attitude control system that comes into play during the transfer phase when the propulsion module is still attached and for mission phases when drag-free conditions can not be maintained. The Attitude Determination System consists of two Autonomous Star Trackers, two Digital Sun Sensors and two Fiber-Optic Gyroscope Units. Two wide-angle star trackers are used to acquire imagery of the sky that is analyzed by a software algorithm which compares the acquired star patterns with a catalog to precisely determine the spacecraft’s orientation in space. 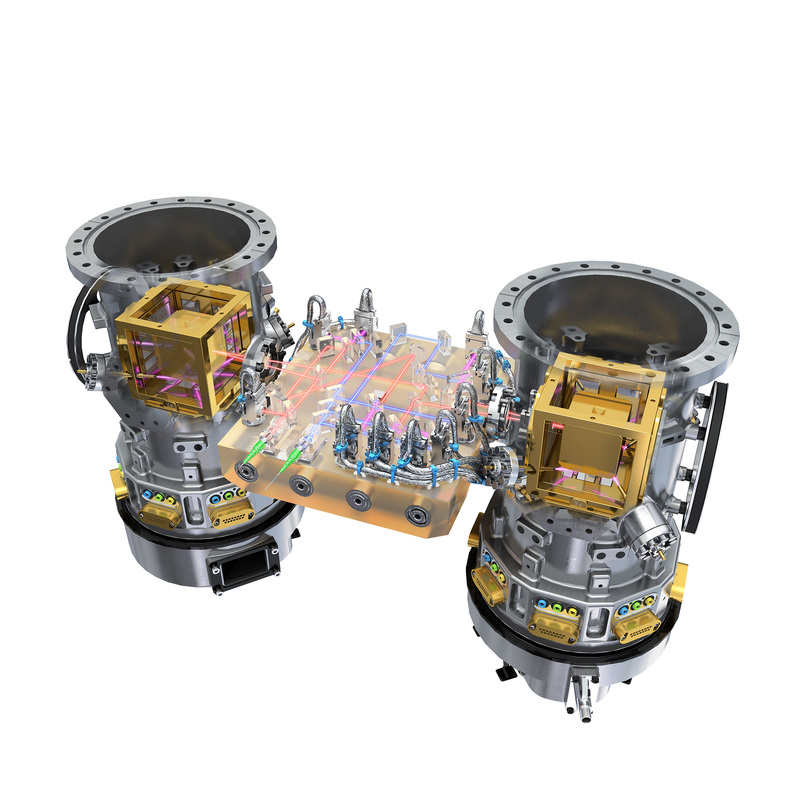 The two Star Trackers chosen for the LISA Pathfinder mission are Terma’s HE-5AS for the measurement of three-axis spacecraft orientation. The two Star Tracker Units have independent electronics, are co-aligned at 90° and operate in cold redundancy with only one unit active at any given time. The Star Tracker has a 22° field of view and its optical head measures 12 by 12 by 3.3 centimeters in size with a mass of 1.0 Kilograms. The processor box connected to the optical head weighs 1.2kg and is 24.5 by 16.5 by 2.9 centimeters in size. 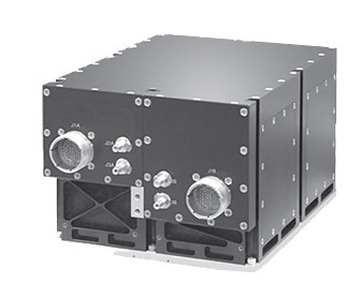 The Star Trackers can operate at spacecraft body rates up to 2.0 deg/sec and deliver an accuracy better than 1 arcsec for pitch and yaw and 5 arcsec in the roll axis. In nominal mode, the Star Trackers deliver two attitude measurements per second and operate under time synchronization using the Pulse Per Second signals delivered by the onboard computer. A package of three Digital Sun Sensors are aligned with the +Z axis of the spacecraft where the solar panel is located so that they can be used to align the spacecraft with the sun to ensure maximum power generation in the event of a spacecraft safe mode event. The sensors have a +/-64° field of view and employ majority voting – all units are constantly in operation and a majority-voting algorithm is employed to determine the current solar vector direction. The DSS operate at a measurement output frequency of 10 Hz. The gyro package is comprised of two independent Miniature Inertial Measurement Units provided by Honeywell. They are used to measure spacecraft body rates in case angular rates are too high for the star trackers to acquire the S/C attitude. 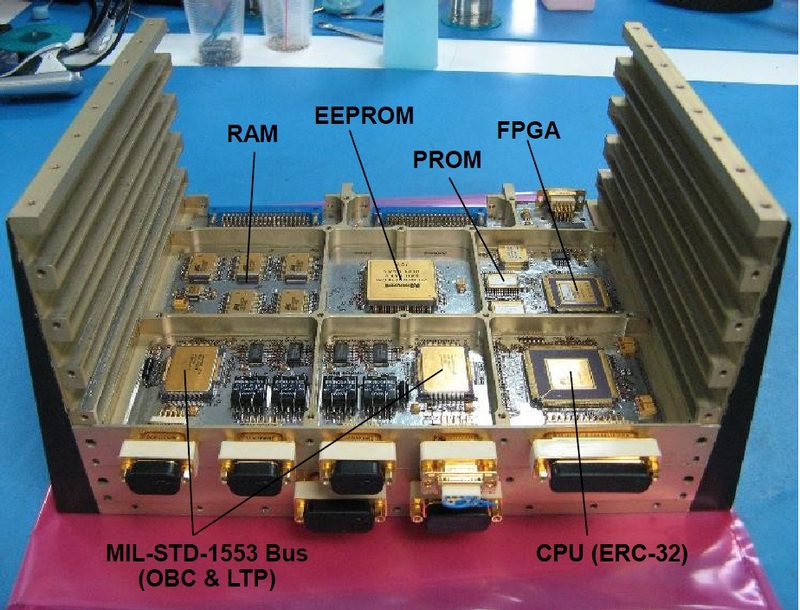 The inertial measurement system used by the LISA Pathfinder is Honeywell’s Miniature Inertial Measurement Unit. The Inertial Measurement Unit has extensive flight heritage and features a robust design using the GG1320 Ring Laser Gyro that provides precise rotation measurements. The system uses the basic principle that counter-propagating laser beams have different frequencies with the difference dependent on rotation rate which can be measured to calculate the rotation rate about the RLG’s sensitive axis. The MIMU weighs 4.5 Kilograms being 23 by 17 centimeters in size. It has an operational measurement range of +/-375°/sec at a low bias of under 0.005°/hour. In nominal operation, MIMU delivers a measurement output of 10 Hz, but its internal measurement rate is 200Hz. The system can tolerate the radiation conditions in Low Earth Orbit and handles accelerations of up to 25G. For Attitude Control, LISA Pathfinder uses the four pairs of 10-Newton bipropellant thrusters on the Propulsion Module when still in its transfer mission phase. After separation, the Attitude Control System relies on six clusters of cold gas thrusters installed on the sides of the science module. The system is comprised of two strings of three thruster clusters, providing redundancy. The Command and Data Handling System of the LISA Pathfinder spacecraft is in charge of command reception and execution, payload system operations, housekeeping operations and spacecraft control. 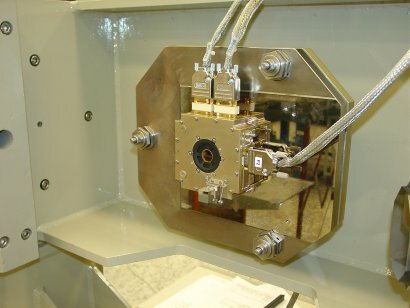 The heart of the control system is a central onboard computer that communicates with all spacecraft subsystems and a Data Management Unit that interfaces with the two ESA payloads. The Onboard computer itself consists of a power supply, a central processing unit with main memory, an external mass data storage, telemetry and external inputs and output controllers. All components reside within a single OBC box. The onboard computer handles all attitude determination and control functions, onboard data handling, platform systems management, and payload commanding as well as command distribution, telemetry collection and the generation of timing signals as part of a Pulse Per Second signal. In addition, the Onboard Computer provides monitoring and fault protection functions. The onboard computer incorporates two processor modules, each based on a single chip ERC32 central processing unit operating at 22.5 MHz with 6MB RAM, 1.5MB EEPROM and 64kb PROM. The OBC also includes two telecommand, telemetry and reconfiguration units with 400 kb of safeguard memory. Four actuator and sensor interfaces provide connectivity to the Attitude Determination Sensors and other sensing systems on the spacecraft, and to the various attitude actuators and deployable/separation systems. 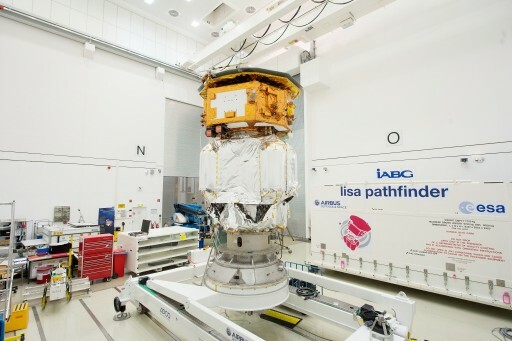 The two Mass Memory Units of the LISA Pathfinder spacecraft can hold 12.5 GB of data. The Data Management Unit builds the primary interface between the Onboard Computer and the two payloads of the LISA Pathfinder spacecraft. It consists of three components – the Power Distribution Unit, the Data Acquisition Unit and the Data Processing Unit. Each of these units is duplicated with cross-strapping between all units to provide redundancy. The DMU is based on an ERC32 processor running at a clock frequency of 12 MHz with 1MB of RAM, 2MB of EEPROM for modifiable, persistent code and 64kb PROM containing the boot code. The DMU interfaces with external equipment using a MIL-STD 1553 data bus plus two Field Programmable Gate Arrays provide memory-mapped access to all external devices. The Onboard Computer also uses a 1553 data bus architecture to communicate with external systems while the internal backplane link makes use of the SpaceWire standard. 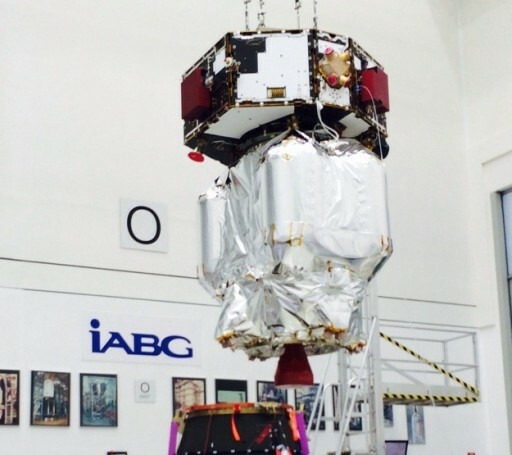 For communications, LISA Pathfinder exclusively uses X-Band. The main communication asset is a high-gain antenna operating at 7.230GHz for uplink and 8.495 GHz for downlink. 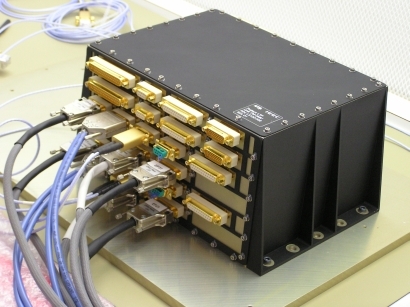 The X-Band system uses a new X2PND transponder developed by Thales Alenia Space to achieve data rates of 8Mbit/s from the L1 orbit. For the Earth-Orbit phase of the mission and during on-station anomalies, LISA Pathfinder can revert to omni-directional antennas reaching low data rates of 60ksymbols per second in Earth orbit and 1ksymbols/second when at L1. A Medium Gain Antenna is available when the attitude error is within a certain range to permit communications at 120ksymbols/second. 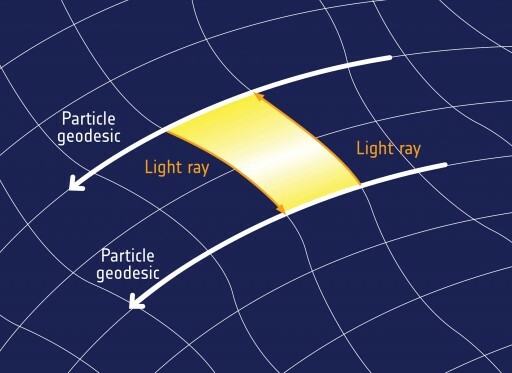 The LISA Pathfinder consists of two components, the Science Module carrying the payloads of the mission, and the Propulsion Module used to boost the spacecraft from a Low Earth Orbit into its L1 Transfer Trajectory for eventual insertion into an L1 orbit before separating from the Science Module. The LISA Pathfinder Propulsion Module stands about 1.9 meters tall and measures 2.1 meters in diameter with a mass of 1,420 Kilograms when fully fueled with Unsymmetrical Dimethylhydrazine and Nitrogen Tetroxide, stored in four main propellant tanks. The Main Propulsion System of the spacecraft is centered around a 400-Newton engine that will be used for all major delta-v maneuvers taking the LISA Pathfinder from Low Earth Orbit to the L1 Transfer Trajectory and the L1 Lissajous Orbit. The engine operates at a thrust range of 340 to 440 Newtons, consuming 135 grams of propellants per second, generating a specific impulse around 321 seconds. The engine uses a mixture ratio of 1.65, supports inlet pressures between 12.5 and 18.5 bar and operates at a chamber pressure of 10 bar. For Attitude Control during propulsive maneuvers and the flight to L1, LISA Pathfinder uses the four pairs of 10-Newton bipropellant thrusters on the Propulsion Module. The 10-Newton thrusters are manufactured by Astrium (Airbus DS) consisting of a platinum alloy combustion chamber and nozzle that tolerates the operational temperature of 1,500°C. The thruster can be operated in a thrust range of 6 to 12.5 Newtons with a nominal thrust of 10-Newtons which generates a specific impulse of 291 seconds. It operates at an inlet pressure of 10 to 23 bar and a chamber pressure of 9 bar. The engine operates at a nominal propellant flow rate of 3.5 grams per second and a mixture ratio of 1.65 with a possible range of 1.2 to 2.1. The thruster has a throat diameter of 2.85mm while the engine nozzle is 35mm in diameter and has an expansion ratio of 150. The 10N thruster has a qualified accumulated burn life of 70 Hours with up to one million duty cycles. Structurally, the Propulsion Module consists of a central cylinder around which the four propellant tanks are mounted. All thrusters are fed from the same tanks.